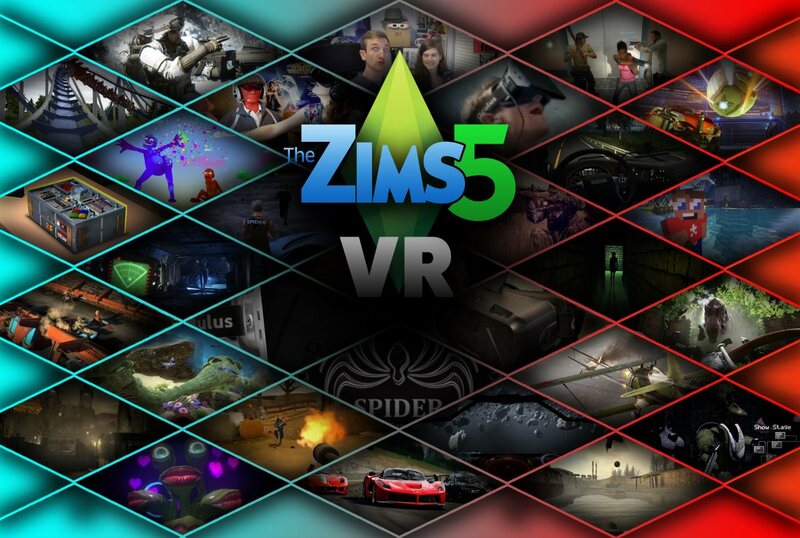 Since July 2014, Zim has been showcasing VR. 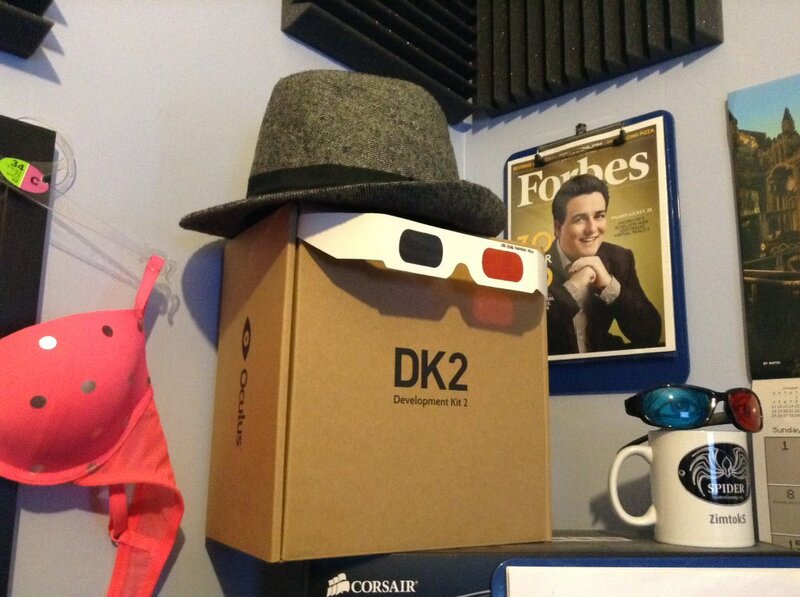 Come watch the leading VR show on Twitch. We run an energetic show suited to those infatuated with Virtual Reality. Zim's show is both a varied and dynamic beastie. On the light side, it's a staple VR stream with a wealth of useful information to share and, on the dark side, it's a mature hang-out where spicy subjects are often hotly debated. It's the place to be for opinions about VR games, hardware, and peripherals. But, it's also just a good laugh if you're looking for healthy dose of humour and hearty banter with new friends. 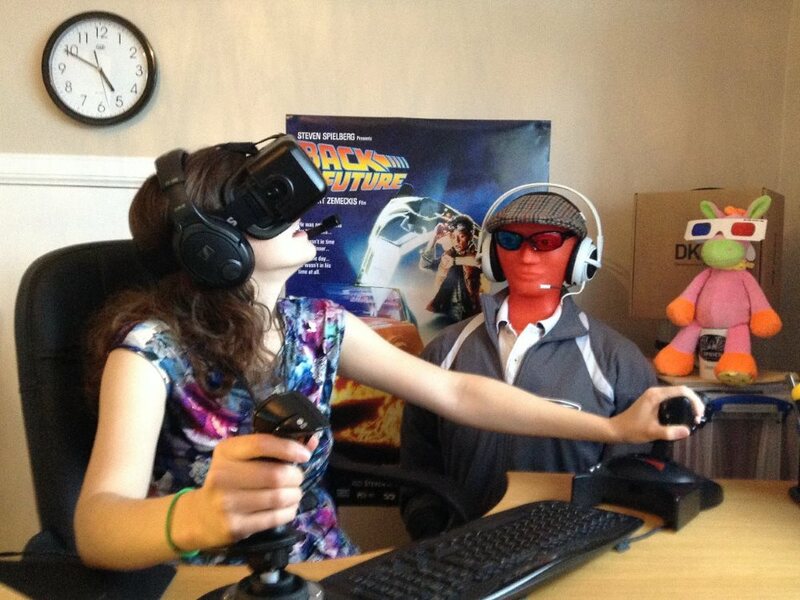 Come back to the future and be part of VR history as it's made. This wave of VR technology will change how we interact as humans. Stream team Zimtok5 and Emrayla (pictured here) are a husband and wife combo who have moulded their lives around streaming to help show the world what VR can offer and demonstrate what the future holds for us all. We've made history; now let's enjoy it. Zim's interest in VR began with a simple pair of home-made stereoscopic glasses (pictured). He attributes his DK2 purchase decision to Chaoss, a budding VR developer who was kind enough to show off his DK1 to Zim & Em in London. The rest, as they say, is history. We've earned some well known fans. Here are a few of them. We run a regular 'new content' co-stream with one of the world's leading speedrunners of the game, @Ruuubick, often enjoyed by the dev team. Sought out our stream team to moderate the announcement of the CV1, which ran smoothly as a result. Regularly show support through Twitter. The team's developer and animator watch regularly and follow our show through new content and feature release cycles. Since the Casino VR app first released, we have been close with the dev team and have had a positive impact regarding development direction. Invited Zim to closed software trials. 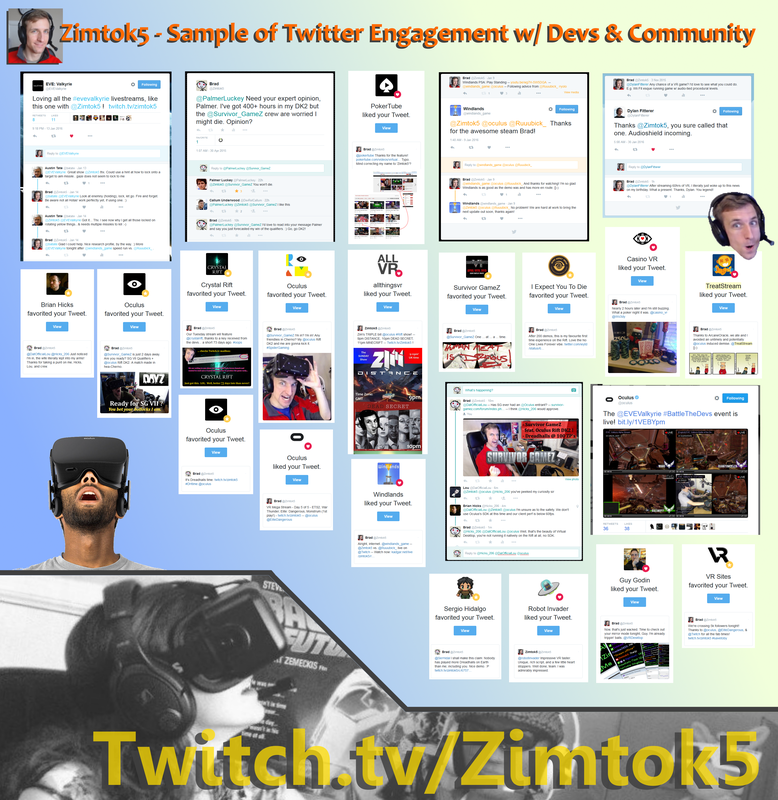 Featured the Twitch show regularly through their Twitter and Facebook accounts in 2016. 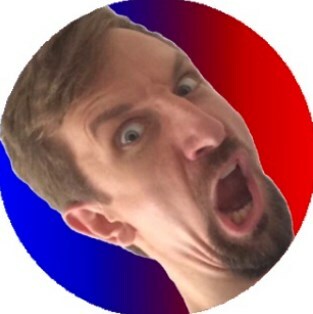 First VR streamer invited to participate in the Survivor GameZ VII qualifiers. The highly anticipated Twitch event will run in Q2 2016. © Zimtok5. All rights reserved.